For any of our viewer’s who are planning to be in Northern Idaho or Eastern Washington State next weekend, the Resort Boatshop is holding their 5th Annual Show & Shine at their facility in Post Falls, Idaho on Saturday, May 22nd from 11:00 AM to 4:00 PM. 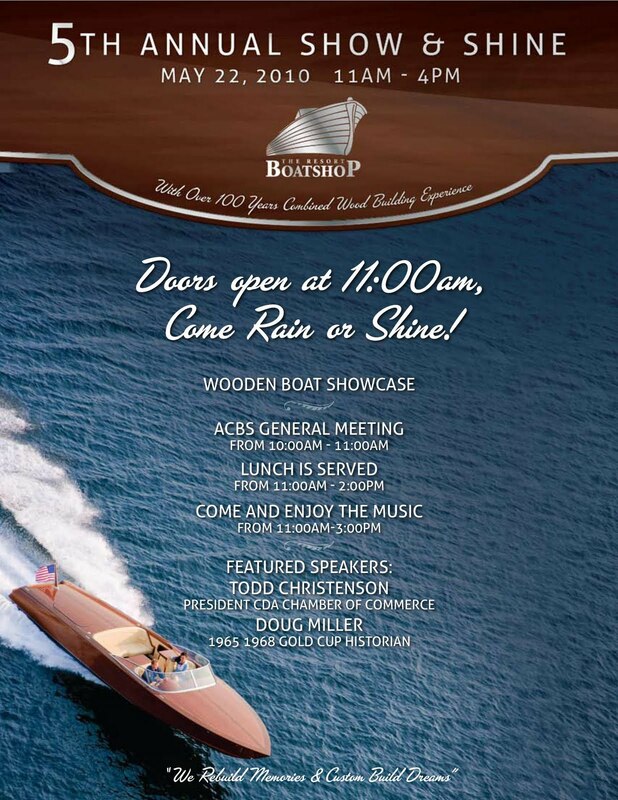 The Inland Empire ACBS Chapter has scheduled a short General Meeting from 10:00 AM – 11:00 AM, and then the doors open for the Show & Shine at 11:00 AM. Lunch is served from 11:00 AM – 2:00 PM. 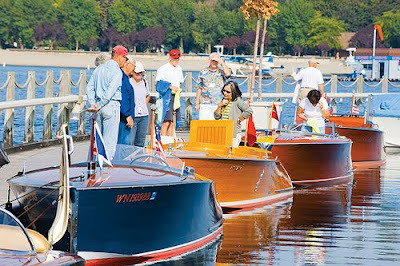 Come and enjoy the classic wooden boats on display and the live music. 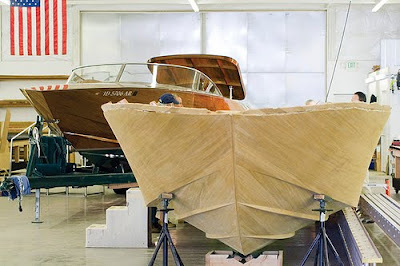 You will also get a chance to see the wooden boats currently be restored in the work shop. Featured speakers are Todd Christenson, President of the Coeur d’Alene Chamber of Commerce and Doug Miller 1965 – 1968 Gold Cup Historian. Please contact Eric O’Brien or Tiffany Curtis at The Resort Boatshop (208) 667-5009 for more information. 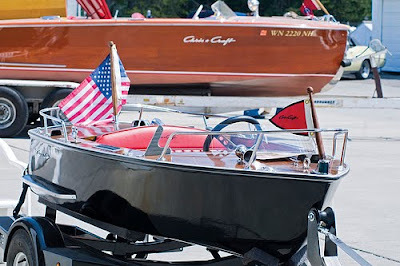 Here’s a few photos from last years Show & Shine provided by The Resort Boatshop and Hagadone Marine, and some recent restorations completed by The Resort Boatshop. 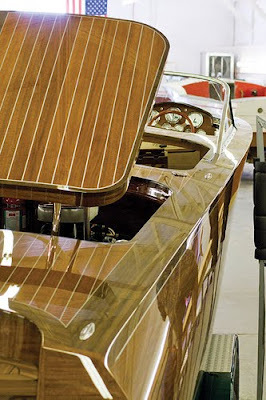 Above and below is a 1947 Chris-Craft 25′ Red & White featuring Twin K power, which was recently restored by The Resort Boatshop. 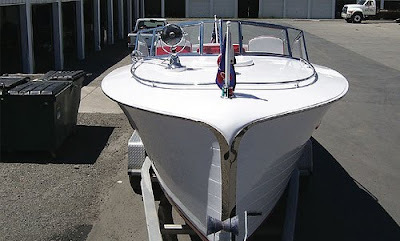 A few photo’s (provided by The Resort Boatshop & Hagadone Marine) of the 2008 Wooden Boat Fest which was held on the docks at the Coeur d’Alene Resort. 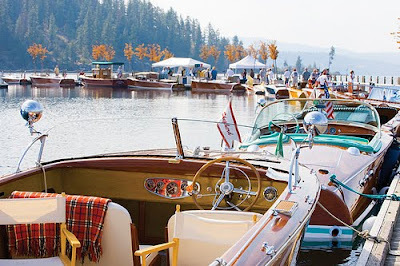 Probably one of the best venues for an Antique and Classic Boat Show in all of the Pacific Northwest. 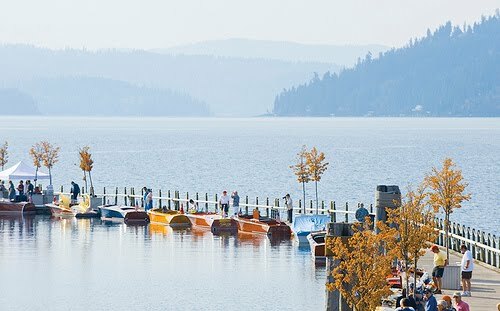 This area of Northern Idaho offers fantastic scenery and beautiful fresh water lakes, attracting boating enthusiast’s from all over the Pacific Northwest and Canada throughout the year. 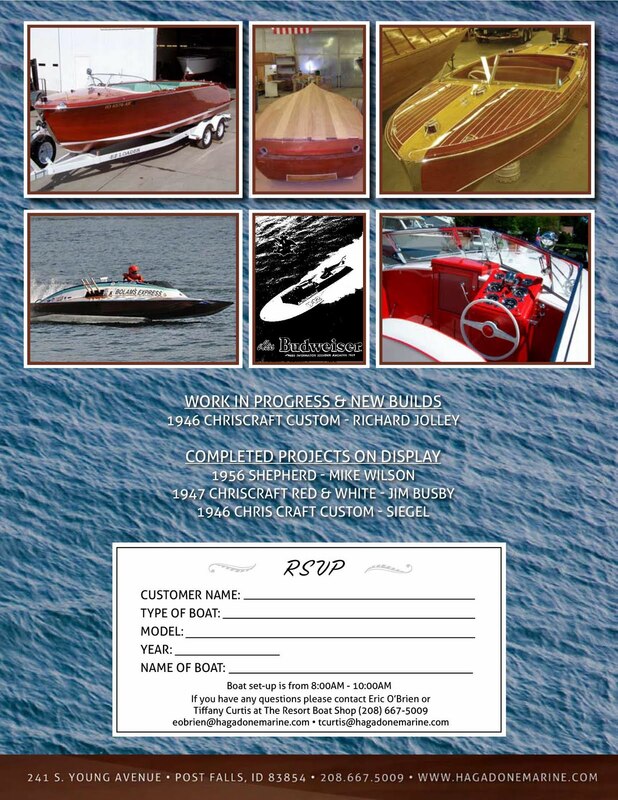 WoodyBoater will be on hand for this year’s 5th Annual Show & Shine, and will provide a full report of the event. Tahoe Ban On 2 Strokes Not Slowing Down The Show. Great shots thanks Texx. 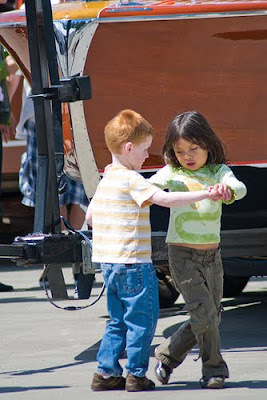 Love the shot of the children dancing! Cute. What are those four boats in the 3rd last picture.? The colours are incredible. Makes the shot look like old 60's Kodachrome. Very cool.